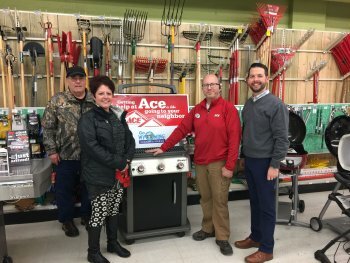 Thank you to Ace Hardware of Warsaw and Attica for donating a Char-Broil propane grill. 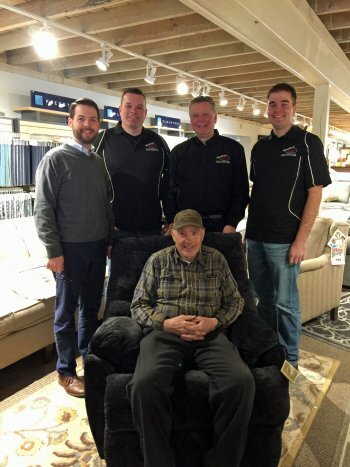 Thank you to our sponsor Harding's Attica Furniture and Flooring for donating a Rocker Recliner. 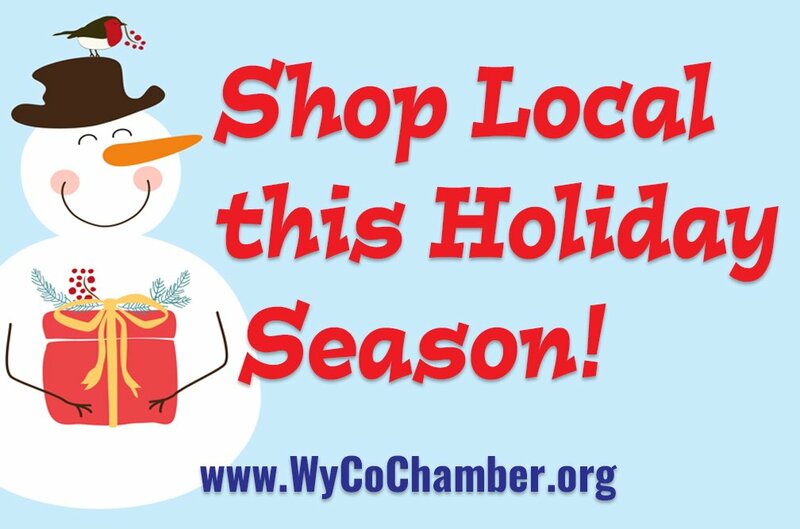 Save your receipts from purchases made anywhere in Wyoming County from November 23rd thru December 24th, 2018. Every $50.00 worth of purchases makes you eligible for one entry in the drawing for the $25,000* conditional grand prize and three guaranteed Prizes. Submit the receipts to the Wyoming County Chamber of Commerce, 36 Center St, Suite A, Warsaw, NY 14569 by close of business (5:00PM) on Friday, January 11, 2019. Submissions may be mailed and must be postmarked on or before January 11, 2019 and received no later than February 1, 2019. Receipts may also be submitted at one of the drop box locations throughout Wyoming County by (5:00PM) on Friday, January 11, 2019. All receipts must be originals and have entrants’ full name, phone number, mailing address and email clearly written on the front or back of the receipt. *In order to qualify for the $25,000, the 2018 AFC Champion must achieve five (5) or more Takeaways from the 2018 NFC Champion during the Super Bowl LIII on February 3, 2019. Subject to official NFL rules. Drawing will be held on February 12, 2019. If you're a Wyoming County Business and would like a drop box in your store, just give us a call at (585) 786-0307, and we will be happy to bring one to you. Save receipts of purchases made between November 23, 2018 and December 24, 2018 at retail establishments within Wyoming County; including but not limited to retail shops, restaurants, grocery stores, hair salons, movie theaters, and gas stations. Submit the receipts to the Wyoming County Chamber of Commerce, 36 Center St, Suite A, Warsaw, NY 14569 by close of business (5:00PM) on Friday, January 11, 2019. Submissions may be mailed and must be postmarked on or before January 11, 2019 and received no later than February 1, 2019. Receipts may also be submitted at one of the drop box locations throughout Wyoming County by (5:00PM) on Friday, January 11, 2019. All receipts must be originals and have entrants’ full name, phone number, mailing address and email clearly written on the back. Copies of original receipts will be accepted; however, any questionable receipts will be disqualified at the discretion of the administration. The promotion is open to all Wyoming County shoppers 18 years of age and older. 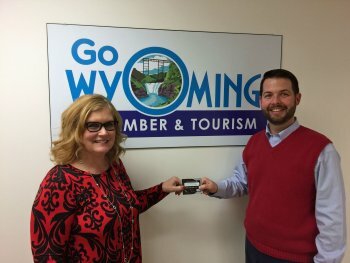 You do not need to be a Wyoming County resident to participate – you simply need to return receipts of your shopping in Wyoming County. Every $50 worth of purchases made in Wyoming County will make you eligible for 1 entry in the *$25,000 drawing as well as the drawing for the “other prizes.” There is no entry fee and no purchase from the Chamber is required for entry. Additional entries cannot be purchased. Current or former employees, family members, agents, directors, successors or assignees of any promotional agency involved with this promotion are ineligible to participate in the $25,000 prize portion of this event. Current employees, directors and family members are also ineligible for the “other prizes” portion of this promotion. Purchases made in the Village of Attica portion of Genesee County are acceptable. The $25,000 drawing will ONLY take place if the 2018 AFC Champion must achieve five (5) or more Takeaways from the 2018 NFC Champion during the Super Bowl LIII on February 3, 2019 in compliance with the specifications outlined in the insurance contract with Odds on Promotions. 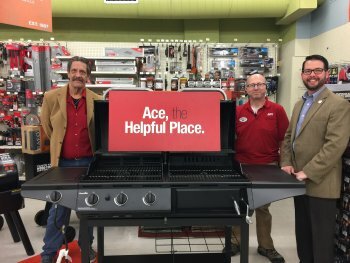 “Other Prizes” are a Rocker Recliner chair; Char-Broil propane gas grill; and a $100 Wyoming County Gift Card. The drawing for all eligible prizes will take place on Tuesday, February 12, 2019. Winner need not be present at the drawing on February 12, 2019. Winners not present will be notified by phone, mail and email. All prizes may be picked up at the Chamber offices or alternative location determined by the Chamber. Any prize not claimed within forty-five days of winning will be forfeited by the winner. Prizes are not transferable. Prizes may not be substituted for or redeemed for cash. In the event the $25,000 cash prize is awarded, the winner will receive a 1099 IRS Tax form for the value of the prize. Prizes are limited solely to those items explicitly set forth herein and shall not include any and all other expenses, incidentals or taxes that may arise out of the winner’s receipt of this prize. In order to qualify for the $25,000 prize reimbursement, the 2018 AFC Champion must achieve five (5) or more Takeaways from the 2018 NFC Champion during the Super Bowl LIII on February 3, 2019. Subject to official NFL rules. Payment of all federal, state and local taxes is the sole responsibility of the winner. Winners of the cash grand prize will be required to sign an IRS Form W-9 or the equivalent. Failure or refusal to execute the release will result in the winner forfeiting the prize. Photo identification and social security number of the cash grand prize winner may also be required in order to collect the prize. By participating in the promotion, the winner or winners agree to have their name, voice or likeness used in any advertising or broadcasting material relating to this promotion without additional financial or other compensation and to sign a publicity release prior to acceptance of the prize. A maximum of (1) cash grand prize will be awarded in the event insured circumstances are fully met. Grand prize winner must accept delivery of prize from sponsor, or as otherwise instructed by sponsor. All other costs related to any and all prize delivery and acceptance is the responsibility of the winner including but not limited to all federal, state and local taxes. All properly claimed prizes will be awarded. Prizes are non-transferable and no cash redemption or prize substitution is allowed. Sponsor reserves the right to substitute a prize of equal or greater value if an advertised prize becomes unavailable. The Chamber reserves the right in its sole discretion to modify the promotion rules and dates at any time for any reason. By participating in this promotion, you agree to be bound by these rules, any modifications thereof, and by all other rules imposed by Chamber management. Failure to comply with the promotion rules may result in a entrant’s disqualification, at the sole discretion of the chamber. The Chamber is not responsible for typographical or other errors in the printing, the offering or the administration of the promotion or in the announcement of a prize. Copies of the written promotion rules and a list of all winners are available during regular business hours at the Chamber office or by sending a self-addressed stamped envelope to the Wyoming County Chamber of Commerce, 36 Center St., Suite A, Warsaw, NY 14569. Questions – Call the Wyoming County Chamber of Commerce at (585) 786-0307.